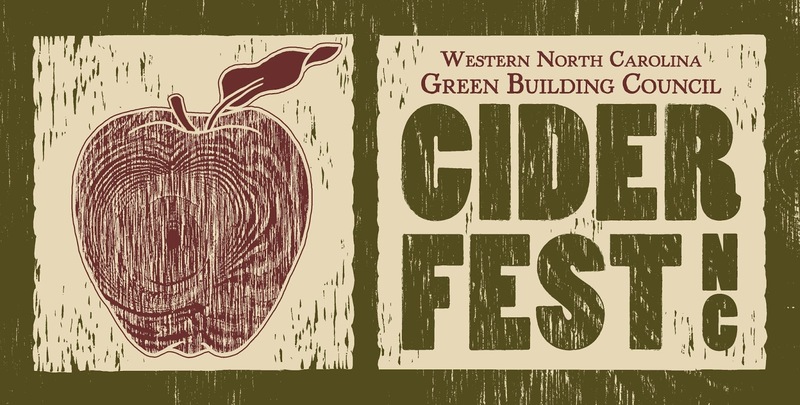 The WNC Green Building Council is hosting the 2nd Annual CiderFest NC! Cidermakers from all over North Carolina and in the neighboring states of VA & SC are all invited to debut their hard ciders at this event. The festival will be held at the WNC Farmers Market- 570 Brevard Rd, Asheville on Sunday, November 2nd, 2014 from 1P.M. - 5 P.M. The WNC Green Building Council (WNCGBC) plans to pair the refreshing and naturally gluten-free hard cider tastings with local cheeses and artisan hand-crafted breads. Non-alcoholic organic cider will also be served from our local organic apple grower as well as apple cider pretzels from Underground Baking Company and gluten free apple fritters from Eat More Bakery. WNCGBC’s CiderFest NC includes fall festivities for the whole family: cider & cheese tasting; live music by the Jon Stickley Trio; apple press demo; Hard Cider 101 panel of Cidermakers; cider evaluation & awards by French Broad Vignerons; and free pumpkin painting and activities for the kids or young at heart. Event takes place RAIN OR SHINE. All proceeds will support the important work the WNC Green Building Council has been doing for 13 years in our community: promoting environmentally sustainable and health conscious building practices through community education and innovative programs. Tickets are limited and are expected to sell out. Tickets on sale at http://ciderfestnc.com $30 (21+ Adults) Kids and young adults 20 and under are FRE.